The match between Crystal Palace – Bournemouth will start at 15:00 on the 12/5. Bournemouth won the last match against Crystal Palace, earlier in this season of Premier League, with the score of 2-1. Calculating the total amounts of goals scored per match on home ground this season of Premier League, Crystal Palace has scored an average of 0,82 per match in the 17 matches the team has played on home ground. During this season, Crystal Palace has conceded a total of 20 goals in 17 games played on home grounds in Premier League. That means that Crystal Palace has conceded an average of 1,18 goals per match. 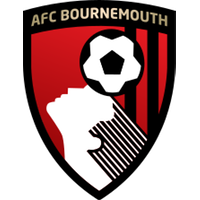 Looking to the amount of scored goals in away matches, Bournemouth has scored a total of 20 goals in the 17 away matches they've played this season of Premier League. The away team, Bournemouth, has an average of 2,18 conceded goals per match in Premier League. In total, Crystal Palace has produced 43 goals in Premier League during the season. 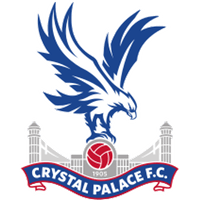 In the 35 matches the team has played, Crystal Palace has an average of 1,23 goals scored per game. During the past season, Crystal Palace conceded a total of 48 goals in the 35 matches played in the league. In average, Crystal Palace has conceded a total of 1,37 goals per match. Bournemouth have in this season of Premier League scored a total of 49 goals. In the 35 matches that Bournemouth have played this season, an average of 1,40 goals has been scored per match. During the past season, Bournemouth has conceded a total of 62 goals. This means that Bournemouth has scored an average of 1,77 goals in the 35 matches that has been played in Premier League.